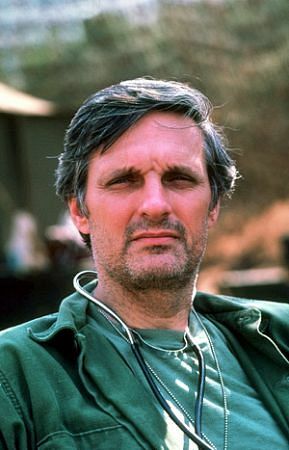 In 1979, Alda wrote and starred (opposite a young Meryl Streep) in a political drama, The Seduction of Joe Tynan and two years later donned the director's cap as well with The Four Seasons a bittersweet romantic comedy that spun off a brief TV series. His later films, which continued his often-glib exploration of human nature, were Sweet Liberty (1986), a Hollywood satire; A New Life (1988), about middle-age divorc�es, and Betsy's Wedding (1990), a genial cousin to Father of the Bride Cast against type, he was deliciously sleazy as an egotistical filmmaker in Woody Allen's Crimes and Misdemeanors (1989). Allen used him again to good effect in Manhattan Murder Mystery (1993), and, perhaps taking a cue from Woody's casting idea, he was hired to play an egocentric doctor in the AIDS telefeature And the Band Played On (1993). Alda has also been active on stage in recent years, in London and on Broadway, in a revival of "Our Town" and in Neil Simon's "Jake's Women."